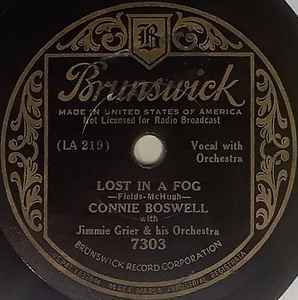 Connie Boswell With Jimmie Grier & His Orchestra* ‎– Lost In A Fog / Isn't It A Shame? B Isn't It A Shame? A & B sides recorded Los Angeles, CA, October 4, 1934.